Look at the cuteness that we just sprung out of doggy jail! Can you imagine how scary the shelter is for a little 8 pounder like her? 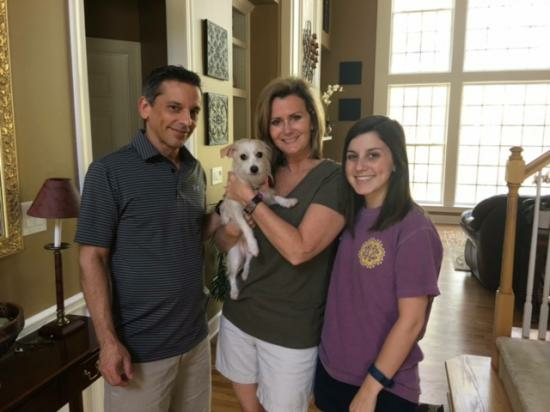 When we heard that Penelope's owners dropped her off at the shelter and never looked back, we immediately said YES, we would take her! When we arrived, she was curled up in the back of her cage shaking. As soon as she saw our volunteer, she hesitantly walked up to the cage door searching for affection and reassurance. Once the volunteer got her outside she calmed down. Her demeanor changed from scared and depressed to loving and curious. She is a little snuggle bug and loves to stay by your side. From what we can tell she would do great with dogs and cats. 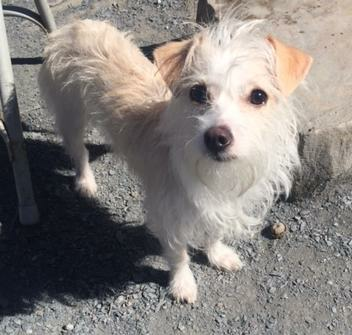 FOSTER HOME NOTES:Penelope is a snuggly little 8 pound scruff, with a long and lean body and the cutest face ever! Plus just look at that Mohawk! She is a young pup, probably around 1-2 years. She seems to do well with other dogs and loves people but likes to give a hello bark first. She is getting close to being potty and crate trained as well as working on gaining some weight!